The Kawartha Komets Special Needs Hockey Program was the Game Night Sponsor at the Peterborough Petes game vs. the Ottawa 67's on Thursday, December 29th at the Peterborough Memorial Centre. 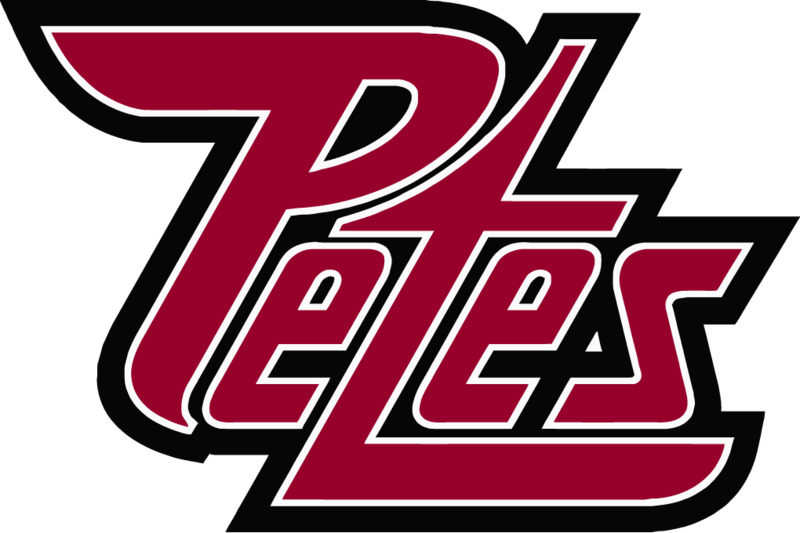 The Petes had entered the Christmas break with 8 straight wins and were hoping to extend the streak upon their return. Just over 3,000 fans were not disappointed as the Petes came from behind to defeat the 67's 7-5. 1st prize - A Peterborough Petes jersey signed by the entire team. Personally donated by Petes' head trainer, Brian Miller. A big THANK YOU to all these businesses and individuals for their generosity. Kawartha Komets fridge magnets were handed out at the Memorial Centre entrances before the game. The Kawartha Komets wish to thank all the volunteers who helped with the Chuck-A-Puck Contest, the Silent Auction, handing out the magnets and the set-up of the auction tables and Chuck-A-Puck tables. Thanks to our Kawartha Komets parents, board members & coaches who secured all the excellent auction items. 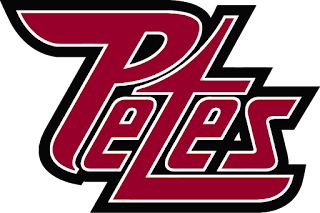 Many thanks to the Peterborough Petes for our ongoing partnership with such an excellent organization. Tamara Burns, Aaron Garfat, Matt D'Agostini and Don Sharp were all very helpful. A REMINDER: The Kawartha Komets will take on the Peterborough Petes in our annual fundraising game on Sunday, January 22nd from 12 noon to 2:00 p.m. FREE ADMISSION but opportunities will be provided to make donations. All proceeds will go to help send our players to two tournaments in 2017. The Komets and the Petes were BLAZING on December 29th!